Sometimes you just don’t have the time to service your own vehicle; that’s understandable. However, regular service and maintenance is key to keeping your Nissan running smoothly and performing at its optimum capacity, and a little TLC can go a long way to extending the life of your car. If you are in need of auto service, come to HGreg Nissan Delray. Our expert Service Department team is standing by to take care of all your auto repair needs. From routine oil changes every 3,000 miles to transmission flushed every 100,000 miles, the maintenance specialists here at HGreg Nissan Delray will treat your vehicle with the utmost care. We service all Nissan models as well as cars and trucks from other brands. 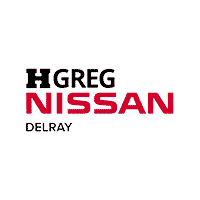 HGreg Nissan Delray is your go-to for all of your automotive service and car repair needs. We are located at 2200 S Federal Hwy and serve drivers from Coral Springs, Delray Beach, Boca Raton, Deerfield Beach, and Pompano/Coconut Creek.